“Tempting turquoise ” is a pendant, which has been made using 2 slices of hand felted merino wool fibre swirls in grey/black/turquoise and brown/turquoise. Is has been strung together with glass crackle beads, glass lampwork beads and a silver tone ribbed bead. It hangs off a silver tone triangular hoop ring- you can pass your chosen necklace/ ribbon/thong through here. 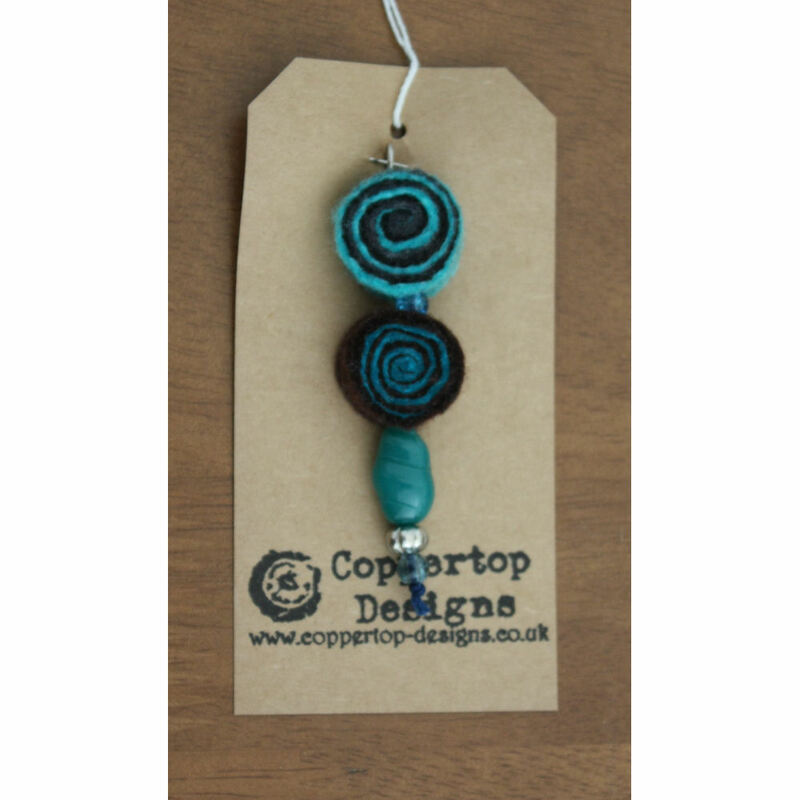 The tempting turquoise pendant would be an ideal stocking filler.